Quality is the cornerstone of our call center services and an ISO 9001: 2015 certificate is a testimony to this commitment. Taking this commitment forward, we have implementing well established QA standards across all facets of our call center operations, which has helped us to deliver robust, reliable and effective inbound and outbound call center services that deliver top-notch results. 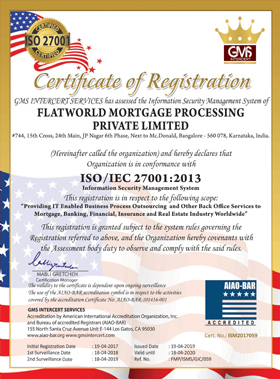 All this simply means that you get access to the right kind of framework required to comply with legal and other regulatory requirements in a safe, secure and organized manner by partnering with us. Contact us to know more about our security standards and infrastructure.